The new year is only a couple of weeks old, and there have already been several ICS related security incidents in the news. 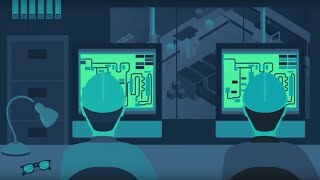 A new malware targeting ICS technologies will emerge in the near future and will target proprietary engineering protocols to alter the way PLCs and other industrial controllers work. If it is released uncontrolled in the wild it could impact a wide array of industries and critical infrastructures since they all use equipment from the same small set of vendors. The new year is only a couple of weeks old and there have already been several ICS related security incidents in the news. The media often sensationalizes these incidents. This is creating hype and growing worldwide awareness and concern over the threat of cyber attacks against industrial and critical physical infrastructures. 2017 will likely be the year in which ICS security becomes a mainstream media topic. To find out what else is ahead for ICS cyber security in 2017, please see the full column by our CEO, Barak Perelman.